Here is an index of all the GM Advice articles I have published. Are You A Successful GM? How Can Players Make the GM’s Game Better (and More Fun)? The Best Gaming Book of All Time? Are We Too Obsessed With Balance? How Should I Prepare For My Sandbox Campaign? Are You Suffering From Option Fatigue? Dungeon Design: What Surprising Thing Does a Dungeon Need? Is the Moathouse the Perfect Low-Level Dungeon? Just How Good is The Forge of Fury? 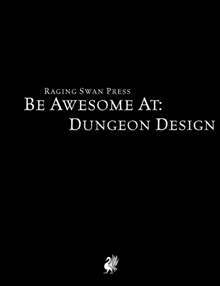 Many of these dungeon design articles appear in Be Awesome at Dungeon Design which is a free download from d20pfsrd, DriveThruRPG, Paizo and RPGNow. What is the Wandering Monster Actually Doing? What’s in an Adventurer’s EDC? What’s In An Adventurer’s Get Home Bag? What Are You Really Buying (when you buy a module)? 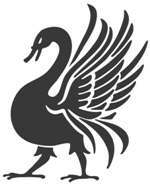 What Can Raging Swan Press Do For You? What’s Your Greatest GMing Challenge? What Does an Old-School Villages Need? Why is the Village of Hommlet So Awesome? My question for GM advice is this: How can one deal with Languages in RPGs. Minus the omniprescent and unrealistic “Common Tongue” or amulets of translation, what are some good strategies for when the party meets NPCs who don’t speak their language. I mean, say your PCs run into an ancient forest and come across a hamlet, which is really the home of a milleniae old cabal of dwarven swamp witches, just as a ridiculuous example. I realise that sign language and such can be great roleplaying oportunities, but this tends to break game pace, and dissolve into players getting “out of game mode”. To be in line with pacing and keep things from going astray, what are some measures that a GM can use, or players, when dealing with NPCs who speak another language.? Random tables for appearance, etc. also background and other special attributes/oddities. Also for NPCs possessions, both major items and trivial items. Plus what language they speak. I agree strongly with what Alan Coats said. I would like to see tables of realistic/low key (the more gonzo the result, the harder it is to work into most campaigns) PC and NPC names, personalities, background elements, etc. Also, given your talent for writing, I would absolutely love to see something like your take on (again, relatively realistic/low key) adventure seeds, or coherent character background/history generators. Absolutely. I’d love to create a range of “normal” people a GM could use as part of an urban backdrop. I’ll definitely consider it. It’s certainly something I could include in the 20 Things line. In regards to your email “what we can do for you”… I think a great product would be a small collection of NPCs… complete with stats and for varying challenge ratings. I play 5e, but I’m sure the Pathfinder people would also find this useful. The kind of thing I am thinking of could be individual villains of different levels (low, medium, high), a small guild of thieves, competing adventuring group, gang of bandits, a blacksmith and his/her workers, a sheriff and deputies, merchants of varying types (especially those who work in a magic shop), etc etc etc. They don’t have to be named (although suggestions welcome). I think something like this, in conjunction with your line of towns and villages you create would be a great 1-2 punch. Just a thought, thanks for your time. I would love to write a book like this. Given I’m currently slaving away over Languard this might be something I could slip into the line. Thank you for the suggestion! Related to you email, what we can do for you, I would love to a series focusing on humanoids and their “villages”. I enjoy the monster lairs series very much, but I would be interested to see a detailed version similar to the Village Backdrops focusing on goblins, hobgoblins, etc. Having a map and daily activities could make for interesting locales that a group can stumble upon while exploring. Thanks for all the great books and resources! I love, love, love this idea. I don’t have space in the schedule at the moment, but I’ll give some serious thought about how to squeeze this in. Strange and Wondrous Gnomish Inventions…? I would like to see printed solo adventures. No GM or gaming group required. Open the adventure book and start reading and rolling dice. Kinda like those “choose your own adventure” books but based on your rolls. Comments and suggestions about solo adventures are hurling themselves into my inbox with increasing frequency. This is something I am going to consider as it’s an interesting challenge. I also used to love the choose your own adventure books! Have you ever, or ever thought to, create DM/GM screens for different systems? I know some of the biggies publish their own, and maybe there are licensing issues I’m not aware of, but I’d buy a D&D BECMI or B/X DM screen from you in a heartbeat. But that may be more difficult a thing to ask for than I realize. I know you focus on Pathfinder and 5e right now — which I love. But right now I’m on a real OSR kick. I wanted say that I thoroughly enjoyed and greatly benefited from the guides you put out for the WotC 5th ed modules. They help by both focusing my attention on key points, helping me organize my thoughts before I read a chapter, or even add elements to early chapters that will pay off in later chapters (I’m thinking of the chip in SKT). Not only do they save me time, they leverage my time by making my first read of the adventure like my 5th, because I’ve already read your guide. It’s like the adventure was built, and then you built on top of that, so by the time I start, I’m already at the top of the mountain with so much to riff off of. That reminds me, did you do one for Tomb of Annihilation? One thing that would be useful to me (I’m starting a “New World” campaign) is a list of *good* names. I’m using elements from D&D’s Birthright setting, but the names in there are a mess. I can generate random names, but if I generate 20 and only one is good, then, I only have one name. So, names of villains, rulers, provinces, landmarks, cultures, ancient wizards, contemporary wizards, female names, would be helpful. I guess I’ll check the list of links above. Maybe you’ve already done one. Thanks again for your hard work. I appreciate it. I have created some names of NPCs and suchlike, A compiled list appears in Be Awesome at NPC Design. Alternatively, you can search for So What’s the Human Called, Anyway? on RPGNow or DriveThruRPG. Each instalment in the line includes hundreds of names sorted by culture.